One of the fundamental principles of lean-agile software development is to release early and then in multiple increments. 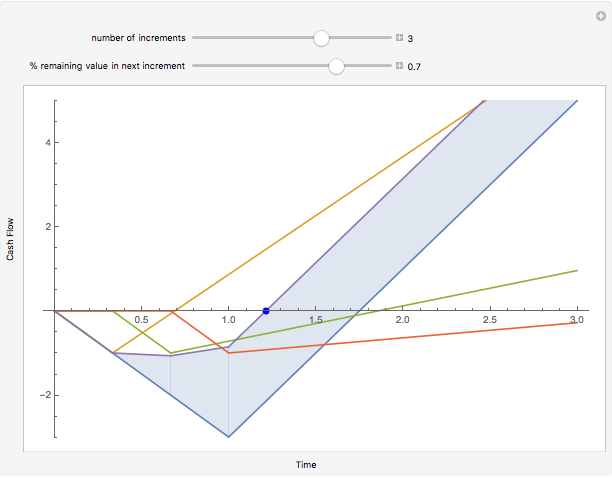 This Demonstration plots the cash flow over time and illustrates three business benefits: sooner break-even, lower investment, higher net return. You can chose between a single release and 2, 3, or 4 increments. A secondary parameter is the percentage of value delivered to the customer in each increment. The concept is based upon Chapter 2: Business Case for Agility in . 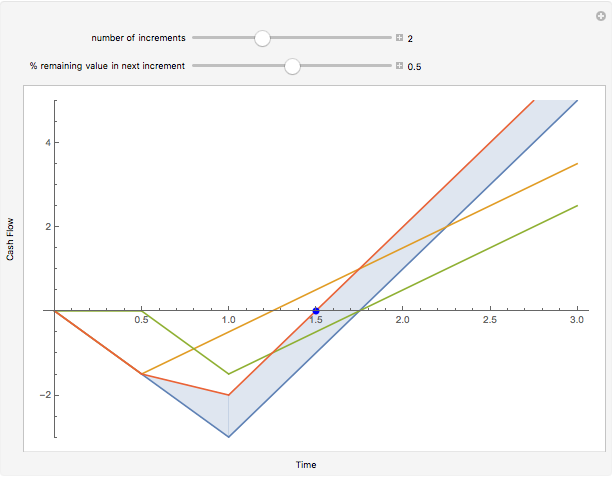 The simple model displays as V-shaped curve for each release increment. It assumes initial investment (development of product), then delivery, and steady returns thereafter. The slope of investment and returns depends on cost and value parameters (here these are fixed). The basic case of just one single release is always shown as the baseline. 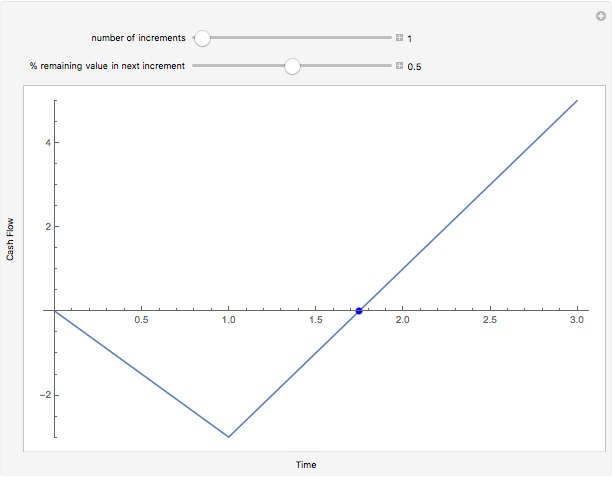 When there are multiple increments, their cumulative total is plotted with break-even point and difference to the baseline highlighted. The secondary parameter specifies what percentage of the remaining value will be released in the next increment. The default is 50%, which assumes the delivered value is split in half for each of two increments. Smaller percentages lead to flatter returns on initial increments, larger percentages to steeper returns. A. Shalloway, G. Beaver, and J. Trott, Lean-Agile Software Development, Reading, MA: Addison–Wesley, 2010. Thomas Laussermair "Business Benefits of Releasing Software in Multiple Increments"